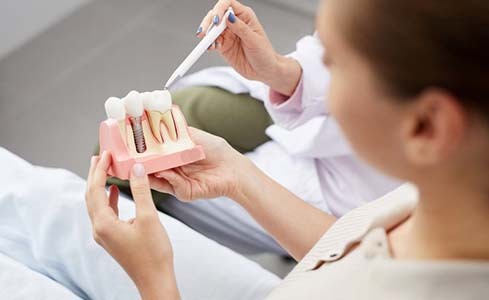 The loss of natural teeth can be a very difficult experience, not only for your oral health but for your self-confidence and quality of life as well. At LIC Dental Associates, we’re proud to offer a truly exceptional solution to this type of damage: dental implants. Dental implants recreate the entire tooth, providing seamless aesthetics and outstanding durability while also promoting long-term oral health. It will be like your natural tooth or teeth have returned form the past! 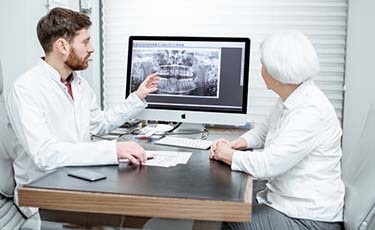 Better yet, our dental office has an in-house implant specialist, which means we can perform every stage of treatment right here in Long Island City. Please contact us today if you’d like to schedule a consultation. Why Choose LIC Dental Associates for Dental Implants? Your original tooth is composed of two distinct segments – the white crown on top that everyone’s familiar with and the root that’s well-hidden beneath the gum tissue. Traditionally, dental restorations have focused on recreating the former, but without a functioning tooth root in place, the jawbone is likely to deteriorate over time. 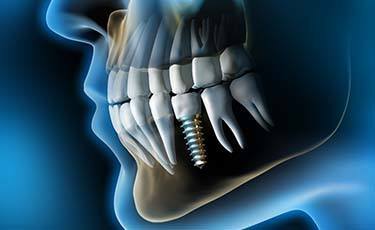 The dental implant is unique because it starts with the root, establishing a healthy and enduring foundation for the new tooth that will stand the test of time. Versatility – Our experts can use dental implants to replace a single tooth or an entire mouthful. Seamlessness – Once completed, implant-retained teeth are virtually indistinguishable from natural teeth in look, feel, and function. Convenience – Implant-retained teeth can be cared for just like the rest of your smile, no inconvenient routine changes required. Longevity – Dental implants are meant to last for many decades or even the rest of the patient’s life. When rebuilding a single tooth, an all-ceramic dental crown can be paired with an individual implant. This conservative approach works well alongside natural teeth, which won’t have to be significantly altered in order to accommodate the new addition. Implant-retained crowns can also be placed over implants in multiple areas throughout the mouth; alternatively, implant-retained bridges are available to fill in gaps left by one or more missing teeth in a row. While traditional bridges required healthy teeth to be filed down for support, this modern prosthetic relies on two dental implants instead as its anchors – one placed on either side. This approach is healthier, sturdier, and longer-lasting. If you have lost an entire arch of natural teeth, an implant-retained denture can work wonders in replenishing the complete smile you need and deserve. Instead of requiring one implant per lost tooth, these full prosthetics can anchor into place over a small number of strategically placed implants, making them more cost-effective. At LIC Dental Associates, pairing much-needed convenience with reliable, top-tier quality is an important priority for us – that’s why Dr. Ishwinder Saran is proud to lead a team of in-house experts here in Long Island City, including a dental implant specialist. By performing every stage of this transformative tooth replacement service right here in one location, our patients are able to stay comfortable with a team they trust and avoid unneeded travel time. 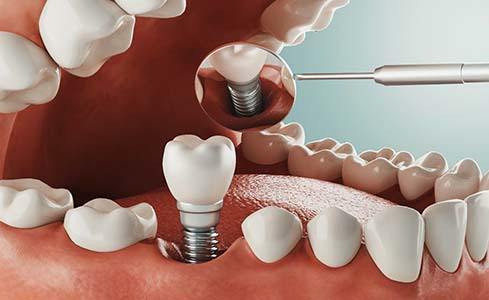 Replacing lost teeth with one or more dental implants is a multi-step process that can greatly differ from case to case, which makes estimating its overall price tricky before the patient has undergone a dedicated consultation with our doctors. Please don’t hesitate to schedule a visit at LIC Dental Associates so that we can assess your needs and provide all of the information you need to pursue further treatment confidently. While dental implants may seem like a significant investment, it’s important to remember that their benefits are numerous and long-lasting. In fact, they’ll likely pay for themselves over time – while traditional dentures and bridges will likely require repairs throughout the years, implant-retained teeth are designed to thrive for decades with only minimal maintenance.